Rajasthan is one of the fabulous royal sit e of India which has impressive history and rich cultural heritage flowing over years. Bharatpur is the Eastern Doorway of Rajasthan, which is dotted with world renowned heritage sites and amazing tourist spots. 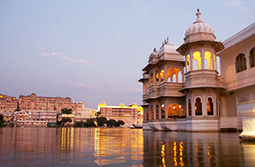 The splendid Golden triangle tour with Bharatpur at its epicenter will take you through several popular North Indian cities such as New Delhi, Agra and the Jaipur. 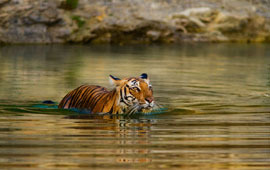 The total duration of Golden Triangle tour of Bharatpur encompasses 7 nights and 8 days. Enjoy a great breakfast served right on the first call in your hotel room. A welcome meeting will soon follow. 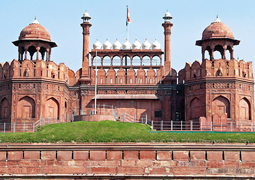 A sightseeing tour of Delhi is organized, which would take you through Red Fort, Jama Masjid - India’s hoariest and biggest mosque, Raj Ghat - the resting place of Father of India – Mahatma Gandhi and several more. Enjoy the luncheon in a world class restaurant that specializes in classic Indian cuisine. Resume your tour and visit stunning locations such as stunning locations such as Humayun's Tomb, the Qutub Minar, Rajpath and Lotus Temple. Return to your hotel latest by evening. Unwind yourself in the hotel room. Enjoy the dinner in the composed room of your hotel and afterwards retire on your bed. After enjoying the breakfast, it is the time to get all set for the mystical city of Fatehpur Sikri enroute Bharatpur. A brief stay in desolated Mughal City would take you through myriad Mughal architecture and provide you with glimpse of several other amazing structures. Later continue your journey to Bharatpur. By late evening you arrive in Bharatpur and immediately transferred to the hotel. You take rest in your cosy hotel room and enjoy your life. After enjoying a heartiest breakfast, pack your bag for the full day tour of Bharatpur. Your first halt is at Lohagarh Fort and the Bharatpur Museum. Later in the trip, you visit Keoladeo Ghana National Park, a UNESCO World Heritage Site, also quite popular by name of Bharatpur Bird Sanctuary. The sanctuary is every birdwatcher’s paradise. The place has popularity for many species of birds, such as migratory birds. In evening, you return to your resort. Stay overnight in the resort and enjoy delicious meals. After enjoying a heartiest breakfast, pack your bag and take full enjoyment in road drive to Jaipur. Enroute Fatehpur Sikri, you will catch beautiful glimpses and bird’s eye view of pink city. Check into the hotel for an overnight stay and feel relaxed. After enjoying the typical rajputana style breakfast, plan the road drive of Jaipur city. You are going to get through tourist spots like Amber Fort, Hawa Mahal or Palace of Winds, Jai Singh’s Observatory, and the Bulund Darwaza. Return to your hotel room. Unwind from lethargy and feel relaxed. 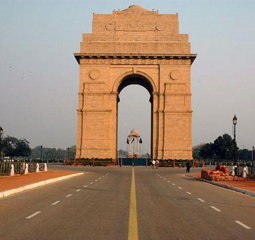 Enjoy the breakfast and then check out from your hotel and resume the road journey to New Delhi. Return to your hotel room. Rest for few hours and pack your luggage. Warm farewell is given by staff. You are transferred to international airport to move further to your designated destination.